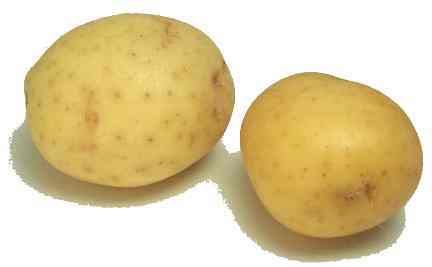 America's most popular vegetable, potatoes can be boiled, baked, fried, microwaved, steamed, or roasted, with or without their peels. 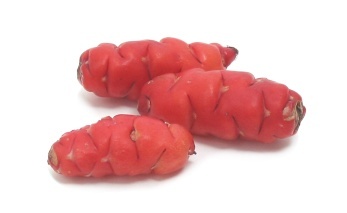 They're often paired with butter, sour cream, or oil, but left to themselves they're quite low in calories and loaded with nutrients. Store them in a cool, dark, dry, well-ventilated place. 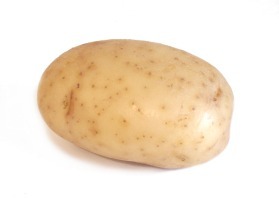 Don't refrigerate them--doing so converts some of the potato's starch to sugar. And don't expose them to direct sunlight, which turns them green and makes them bitter. Scrape away any sprouts or green spots, since they might contain a mildly toxic compound called solanine. 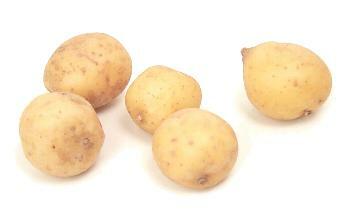 Varieties: Potatoes with a high starch content, like russets, bake well and yield light and fluffy mashed potatoes. 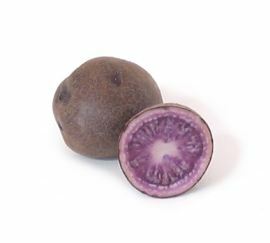 Those with a low starch content, like red-skinned potatoes, hold their shape after cooking, and are great for making potato salads and scalloped potatoes. 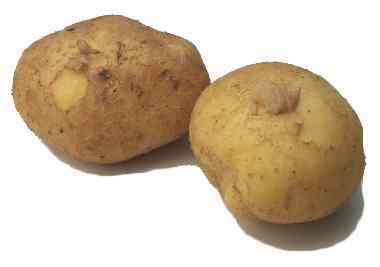 Medium starch potatoes are called all-purpose potatoes, and they'll work in most potato dishes. baby potatoes See new potatoes. baking potato See russet potato. boiling potato = waxy potato = low-starch potato Notes: Potatoes in this category hold their shape after cooking, so they're great for making potato salads and scalloped potatoes. They're not good for mashing, baking, or making fries. 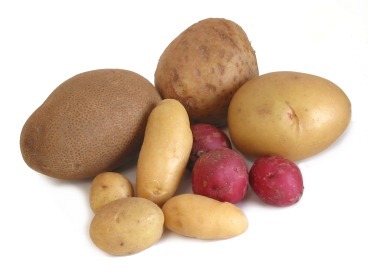 Types of boiling potatoes are new potatoes, fingerling potatoes, round white potatoes, and round red potatoes. 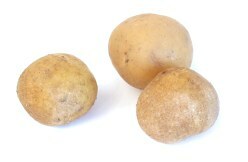 chef's potato See russet potato. finger potato See fingerling potato. Idaho potato See russet potato. 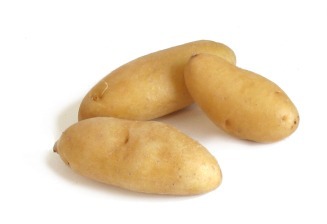 long white potato Notes: These oblong potatoes have a medium starch content, and are valued for their versatility. 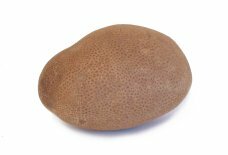 They're good to keep in the pantry as an all-purpose potato. low-starch potato See boiling potato. potato nuggets See new potatoes. 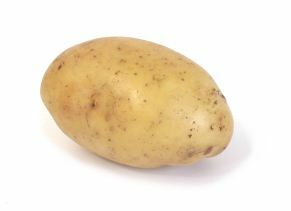 starchy potato See russet potato. waxy potato See boiling potato. white round potato Notes: These low-starch potatoes are great for boiling.